The CNC is distinguished by its high speed as a 6-axes CNC controlled top and face grinding machine that is capable of grinding all tooth forms on wood and aluminium blades. 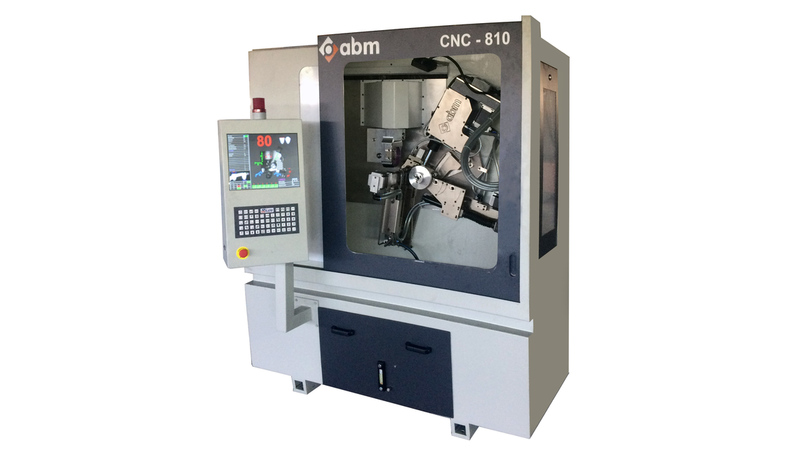 6-axes fully CNC-control. Maximum outside diameter Ø810mm.Special plating on mechanical components ensure non-cording and hardening. Automatic Broken teeth skip and Variable pitch indexing by intelligent finger. Clamping by Microstep motor ensures automatic clamping distance control, clamping torque control and blade thickness control to self-center bevels. Ind?v?dual Top Flat Width and Height difference adjustment in Triple Chip Form.Central lubrication system reducing maintenance and increasing machine life.